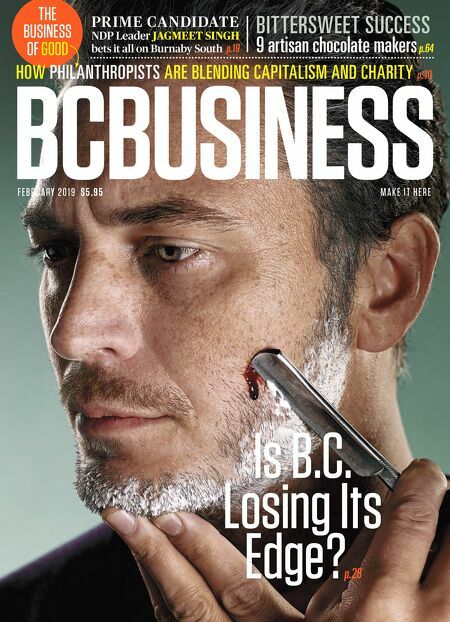 BCBusiness - February 2019 – Is B.C. Losing Its Edge? February 2019 – Is B.C. Losing Its Edge? With a mission to inform, empower, celebrate and advocate for British Columbia's current and aspiring business leaders, BCBusiness go behind the headlines and bring readers face to face with the key issues and people driving business in B.C. view archives of BCBusiness - February 2019 – Is B.C. Losing Its Edge?